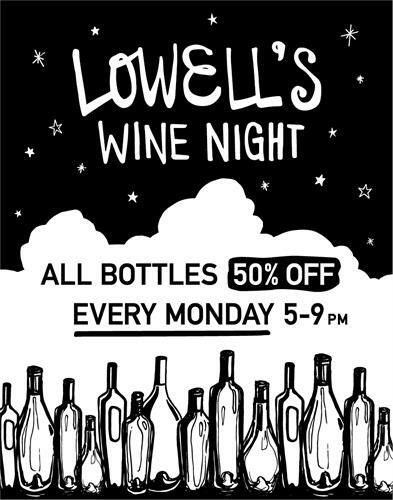 Join us every Monday evening for 50% off all bottles of wine! Great opportunity to try something new or obscure from our ever-changing wine list. Popular with local winemakers!